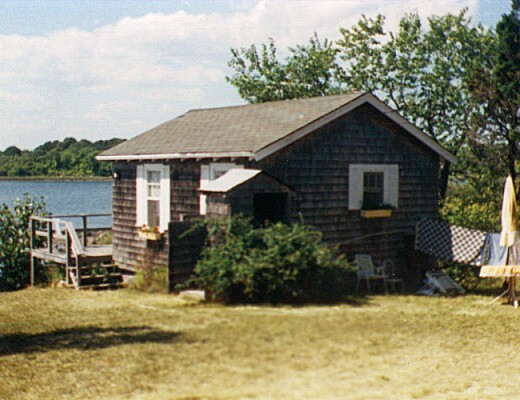 This small one bedroom cottage is close to the water on Wolcott Cove with a lovely view of the Narrows between Ram Island and Great Island to the south. Swimming and clamming are right outside the front door. It is small, but the location couldn't be better. There is a fresh water stream running beside the cottage from a large pond behind the hill (the Swan Pond) into Salt Pond. This is on a low hill along with The McCabe's, separate from the other cottages.